What makes a good thriller? I believe the answer is simple: it is a novel that as soon as you commence reading you can’t put down. You want to know what happens next, and when the book is complete, you want to read more. That is, in a nutshell, what Dance with the Enemy is, a page turner. Now this is an impressive feat for an author’s first book, particularly when the book is self-published. The author had to figure out all the tricks of the trade himself. This is what British forensic fraud accountant Rob Sinclair has achieved, producing an espionage thriller in the style of a Lee Child novel. Our protagonist is Carl Logan, a covert operative employed by the Joint Intelligence Agency, a highly secretive organisation combining the intelligence efforts of both the United Kingdom and the United States. Logan is an interesting protagonist from the onset, mostly because he grew up on the streets and isn’t well educated so this gives him a different slant to the typical heroes of this genre. Through a stroke of luck he was recruited by the JIA before criminal gangs got to him, transforming him into an efficient and calculating killing machine rather than a common thug. Kind of like Jack Reacher if he was a CIA agent, but much rougher round the edges – if that is possible. 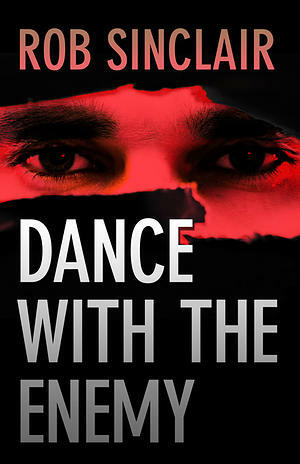 When Dance with the Enemy commences Carl Logan is recovering from injuries, both mental and physical, sustained from a horrific torture from his last assignment. He’s been classified a washed up agent, but his boss Charles McCabe believes otherwise, recruiting Logan back into the fold. Logan is quickly assigned to rescuing US Attorney General Frank Modena who has been kidnapped in Paris by Islamic terrorist, Youssef Selim. With purpose again, Logan commences his investigations in the shadows, applying techniques and tricks that public government agencies cannot. Needless to say Logan finds himself in numerous scruffs with the bad guys and there is plenty of blood and violence. Then he encounters FBI agent Angela Grainger, also on the case, and the plot takes an interesting twist from there. The relationship between Logan and Grainger at first seems misplaced, as they are both from very different education and social backgrounds, but when more of the bigger mystery is revealed, the relationship becomes plausible. To explain why will ruin the surprise, as there is a great twist in Dance with the Enemy. Let me say I could see the twist coming in Gone Girl, but not in Rob Sinclair’s novel. Also impressive are the characters. One doesn’t normally expect much character development in thrillers of this ilk, but Sinclair achieves character depth, with the added bonus that the plot driven narrative never feels like it takes second place. 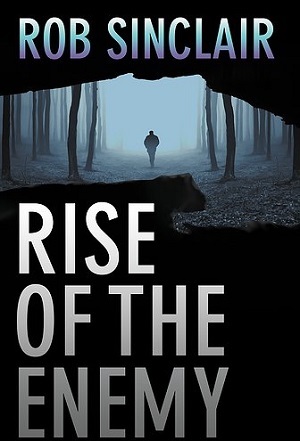 Sinclair has a sequel in development, Rise of the Enemy which will be released in late April 2015. Logan travels to Russia and there is a good chance lose ends in Dance with the Enemy will be expanded upon in this second book. I hope Sinclair keeps the Carl Logan series going. In the third and ongoing novels I’d really like to see Logan get his hands really dirty in some of the world’s most unsavoury locations. This could include going up against drug smugglers in the jungles of Latin America, battling warlords in troubled African nations, or facing off against fanatical terrorist in their home territories in the Middle East. These are environments where I could really see Carl Logan in his element. Europe and the U.S. just seem too tame for him. I highly recommend this exciting and entertaining first novel from Rob Sinclair.